Adam has demonstrated skill for sales and customer service from a very young age, with a variety of experiences in the sales and marketing industry, he found his true passion in real estate and has never looked back. A dedicated real estate professional who will work hard, provide excellent service and an honest approach. Because real estate is not just about property, it’s about people, Adam’s friendly demeanour and personable nature are key to his success within the industry to date. His ability to relate and connect to clientele from all backgrounds, his dedication to the job and drive to succeed are all vital in making him the successful agent he is today. Working across the Northern Gold Coast, specialising in Hope Island and surrounds, Adam’s goal is always to achieve the best possible result for his seller’s. His natural honest approach, combined with true passion for the real estate industry, really shine through and excite all that come into contact with him. If you are looking for an agent that you can rely on for up to date market information and exceptional service then you need to call Adam for an obligation free chat. A finely tuned business plan helps this top performer stay on top. Andrew Harvey has had over 28 years of experience as a professional salesperson. Twenty of these years have been in the role of Senior Management which has ensured that Andrew has developed an understanding of building long term relationships in conjunction with second to none customer service. Living locally with his family on Runaway Bay Islands ensures you are dealing with someone who knows and understands the value of the local area and what it offers. Having been involved with a number of community clubs on the Gold Coast / Brisbane / Sydney as well as involvement with local, interstate and international schools gives him a large network of people at his disposal. With a commitment to detail and ensuring the best for his clients you can always be sure of the upmost honesty, integrity and long term commitment. Energetic and self motivated, Andrew has built a reputation for astute advice, strong negotiating skills and outstanding results. Andrew thrives in the challenge of achieving results above expectations yet the most satisfaction comes from the client relationships he forms – every client is a client for life. Staying focused on his business plan and coupled with Andrew’s honest approach, upfront and open communication will ensure he continues to exceed the expectations of his network of clients. Please don’t hesitate to call at anytime on 0449 269 000. Glenys Pitkin is one of Sanctuary Cove and Hope Islands’ leading real estate agents, delivering unrivalled customer service through an irrepressible enthusiasm for property and commitment, surpassing her clients’ expectations at every turn. Glenys’ successes in the real estate industry are impressive and a clear indication of the strong relationships she builds with her clients. Starting her real estate career in Melbourne with icons in the industry Jellis Craig in the 90’s gave Glenys the opportunity to work alongside some of Australia’s leading Agents. A move to sunny Queensland in 2000 gave Glenys the opportunity to establish her own agency for a number of years in Sanctuary Cove, consistently achieving yearly sales in excess of $70 million. Such success made her the leading independent agency in the area. Being a long-term resident gives her a genuine insiders knowledge of the area and the extensive development that is happening on the northern end of the Coast. During her career she has built a formidable reputation for astute negotiation, innovative marketing methods and an empathic manner that achieves the best possible outcome for her clients. “A lot of agents lose touch with their clients because they don’t acknowledge that buying and selling real estate is a huge life decision. When my clients succeed in their goals, I succeed in mine and I will do whatever it takes to get them there”. Whether you’re buying or selling, contact Glenys today to receive her expert opinion on your property, and experience results that speak for themselves. Jacqui joined the team at the beginning of 2014, armed with a strong background in Sales / Marketing and Customer Service, her skills immediately resulted in increased vendor satisfaction and buyer focus through the implementation of structured processes and results driven marketing initiatives. 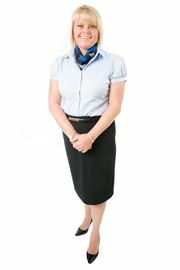 Jacqui's experience in customer service and client management is extremely clear in all of her client dealings. 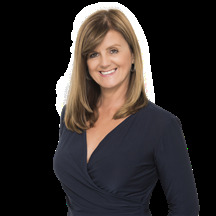 Jacqui's clients can be sure they will be looked after and kept up to date throughout every step of the process as she prides herself on attention to detail and the ability to put herself in others shoes to ensure the best result is achieved for all parties. James Weir is a registered real estate agent and holds a Bachelor of Commerce in Marketing. Living locally in the Gold Coasts North, James' expertise and knowledge of this domain is clearly established. During his career he has facilitated sales of quality homes, development sites, townhouses, apartments and waterfront homes throughout the northern suburbs - from Paradise Point, Hollywell, Runaway Bay, Biggera Waters, Labrador and extending to Hope Island and Southport. Despite an ever-changing market, he consistently sets high standards and achieves record results, selling an average of over $25m in property per year with prices ranging from $300k-$1.5m. 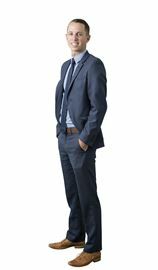 James thrives on the competitive nature of real estate and has an innate ability to maximise the value of a client's most valuable asset within the most challenging of market conditions. Remaining calm and focused, even under extreme pressure, he maintains a sensitive and confidential approach in all his business dealings. With a successful track record behind him, it's not surprising he has an impressive list of local and international clients and is one of the most reputable and highly regarded agents. Recognised as the most successful real estate agent for the largest Independent Agency in QLD since 2003, where he was an integral part of the dynamic growth of the company and was the number one sales person for 7 years running. In today’s market you need a professional individual who is passionate about achieving results for her clients and who is supported by a powerful company dedicated to service, technology and training. Each Home requires a personalised and individual approach, this is required to target the type of buyer who will purchase your home.... that is why the plan to sell has to be as individual as your home. Julie Playforth is a Real Estate Professional with great record of success. My success has come from a total dedication to serving the owners needs and getting the best possible price in the market place. I have held various positions in the real estate industry including Residential, business and commercial sales. I am a highly experienced, professional, real estate agent with outstanding marketing and negotiation skills, these skills ensure that i am equipped to plan with you, the most effective way to get your property sold. Shaun specialises in the sale of prestige homes on the northern end of the Gold Coast, including Ephraim Island, Hope Island, Sanctuary Cove and the Esplanades of Runaway Bay and Hollywell. Statistically, Shaun consistently defies the perception that the market is currently “slow”, with a very high listing-to-sale success rate, far in excess of the industry average. Over the past 11 years, Shaun has been extensively involved in real estate on many different levels including investment and property development, before pursuing a career in prestige property sales. The appreciation of how all facets of the industry operate and integrate, allow Shaun to have great insight into the different ways that deals are able to be negotiated, and a successful outcome achieved. But more importantly, he understands people, not just property. The majority of Shaun’s business comes by way of repeat or referral business from his loyal clients. This demonstrates the level of commitment and effort Shaun gives to all who utilise his services. Satisfied clients are a primary reason why Shaun has risen to the top of his profession. Steve Weir’s introduction to real estate began at a very young age, via his fathers very successful real estate business in New Zealand. After graduating from the University of Otago with a Bachelor of Commerce in Marketing Management, he then moved to Sydney with the specific goal of working in the prestigious Eastern Suburbs property market. Whilst in Sydney he had the privilege of working with some of the most elite agents and expensive property in the Eastern Suburbs. On returning to New Zealand to work for Harcourts, he collected many accolades, including top auction lister and was ranked in the Top 100 out of 2200 agents. Steve and his young family have made the move to the Northern Gold Coast to pursue attractive career opportunities which include working together with his brother James, who held top sales person for the Largest Independent Real estate Agency in QLD and to enjoy the lifestyle the Coast has to offer. Having eight years’ experience, he understands the needs of his clients. Steve’s passion for property is instinctive and he brings energy, enthusiasm and a fresh approach to the Northern Gold Coast real estate market. Working with Harcourts Coastal servicing the Broadwater Suburbs, Steve is genuinely interested in his clients’ requirements and provides a consistent, high quality service with a friendly knowledgeable approach. James Weir is a registered real estate agent and holds a Bachelor of Commerce in Marketing. Living locally in the Gold Coasts North, James' expertise and knowledge of this domain is clearly established. During his career he has facilitated sales of quality homes, development sites, townhouses, apartments and waterfront homes throughout the northern suburbs - from Paradise Point, Hollywell, Runaway Bay, Biggera Waters, Labrador and extending to Hope Island and Southport. Despite an ever-changing market, he consistently sets high standards and achieves record results, selling an average of over $25m in property per year with prices ranging from $300k-$1.5m. James thrives on the competitive nature of real estate and has an innate ability to maximise the value of a client's most valuable asset within the most challenging of market conditions. Remaining calm and focused, even under extreme pressure, he maintains a sensitive and confidential approach in all his business dealings. With a successful track record behind him, it's not surprising he has an impressive list of local and international clients and is one of the most reputable and highly regarded agents. Recognised as the most successful real estate agent for the largest Independent Agency in QLD since 2003, where he was an integral part of the dynamic growth of the company and was the number one sales person for 7 years running. Steve Weir’s introduction to real estate began at a very young age, via his fathers very successful real estate business in New Zealand. After graduating from the University of Otago with a Bachelor of Commerce in Marketing Management, he then moved to Sydney with the specific goal of working in the prestigious Eastern Suburbs property market. Whilst in Sydney he had the privilege of working with some of the most elite agents and expensive property in the Eastern Suburbs. On returning to New Zealand to work for Harcourts, he collected many accolades, including top auction lister and was ranked in the Top 100 out of 2200 agents. Steve and his young family have made the move to the Northern Gold Coast to pursue attractive career opportunities which include working together with his brother James, who held top sales person for the Largest Independent Real estate Agency in QLD and to enjoy the lifestyle the Coast has to offer. Having eight years’ experience, he understands the needs of his clients. Steve’s passion for property is instinctive and he brings energy, enthusiasm and a fresh approach to the Northern Gold Coast real estate market. Working with Harcourts Coastal servicing the Broadwater Suburbs, Steve is genuinely interested in his clients’ requirements and provides a consistent, high quality service with a friendly knowledgeable approach. Anna knows the devil is in the detail, from the first point of contact to the finale of the settlement, Anna will ensure that every ‘í' is dotted and every ‘t’ is crossed. With over 10 years’ experience in the Real Estate industry, Anna is committed to exceeding expectations. 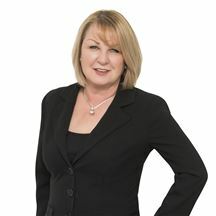 With a reputation in providing exceptional service to clients and outstanding support to our Harcourts Team, her outstanding level of support can be attributed to her diligence and determination to excel in the industry and be a valuable asset in every aspect of a real estate business. Assisting our team to achieve the best possible outcome for your real estate experience is Anna’s motivation. As the Business Manager of Harcourts Coastal Katrina brings with her over ten years experience in all facets of Real Estate operations. With a passion for bridging the gap between the Administration and Sales departments - Katrina knows she has found the right environment for innovation and development with the Coastal team Katrina enjoys working towards creating a cohesive work environment through systems and procedures to guarantee individual and business growth.